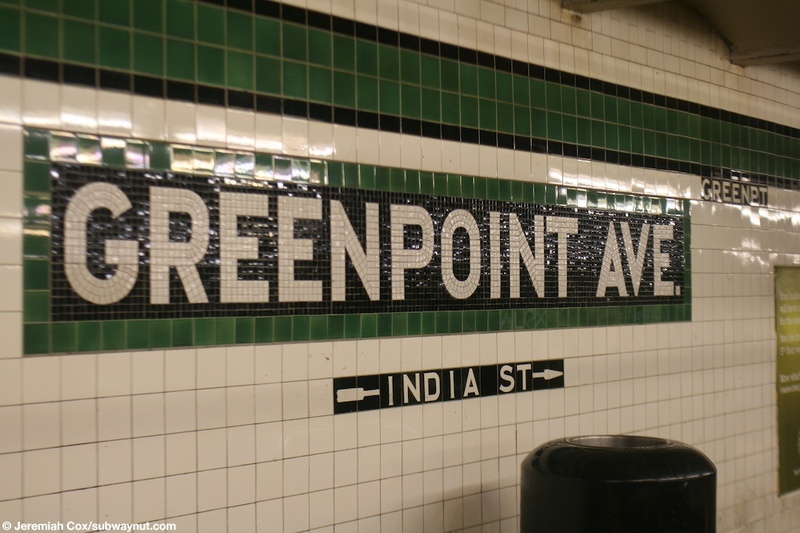 Greenpoint Avenue is one of the few G stations that seems to have most of it's original station features intact. 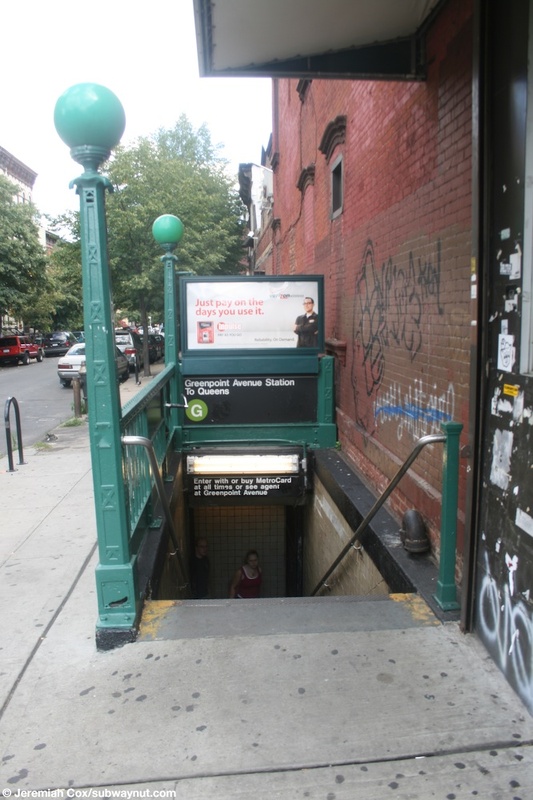 The full time exit at the southern (Brooklyn-bound) end of the station is to Greenpoint Avenue. 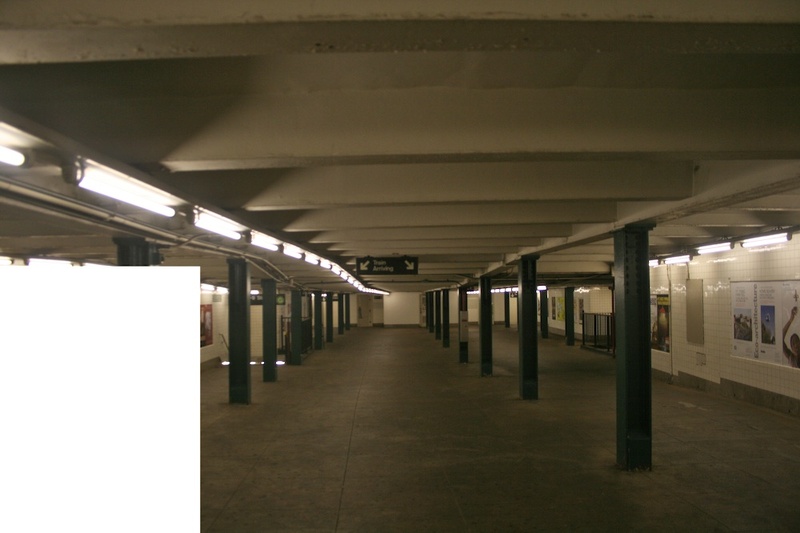 There is a mezzanine that is about a third of the length of the station with three staircases down to each side platform. 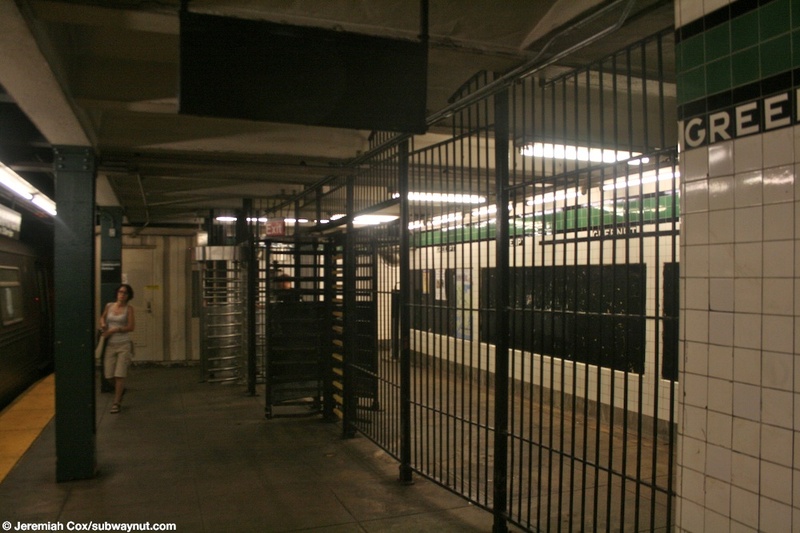 Each platform also has an exit at the other end with High Exit/Entrance Gates only to India Street. 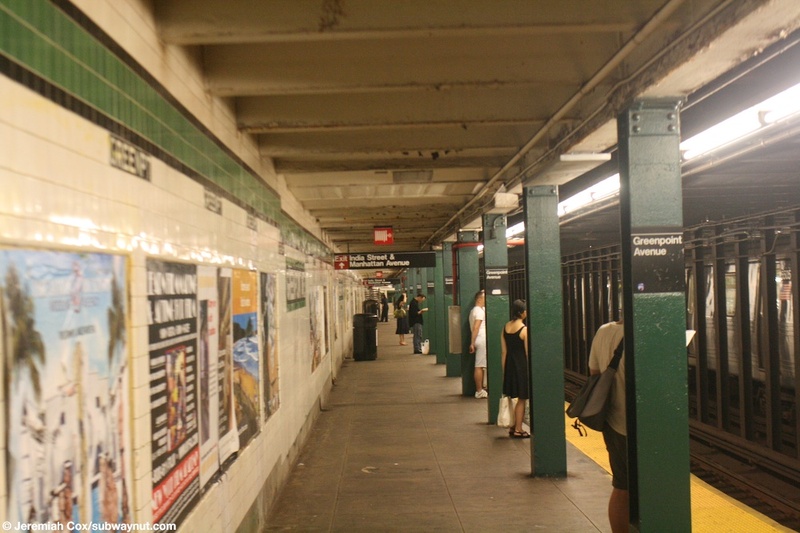 This means that many passengers are required to do the G-train dash because of the train's short lengths. The stations tiling is in relatively good shape with some missing in a few places. A tactile warning strip has been installed recently. 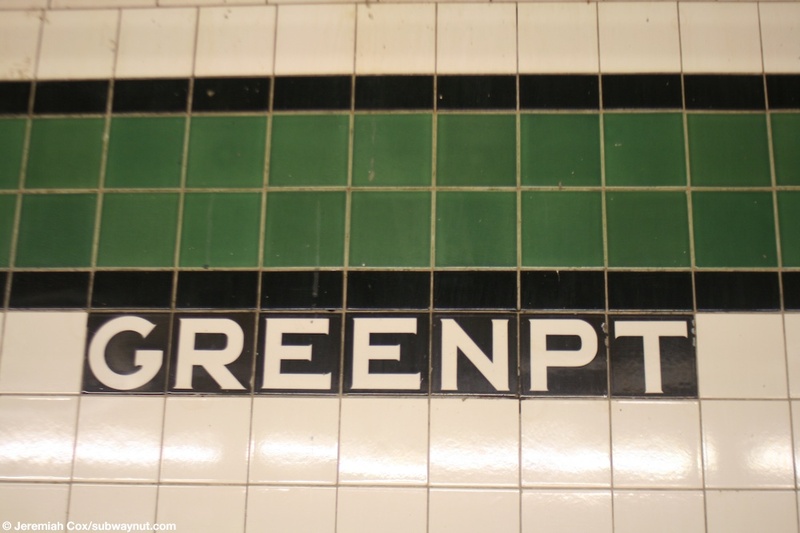 It has the standard Crosstown Line Green trip with a black boarding and Greenpt written directly below the trim. 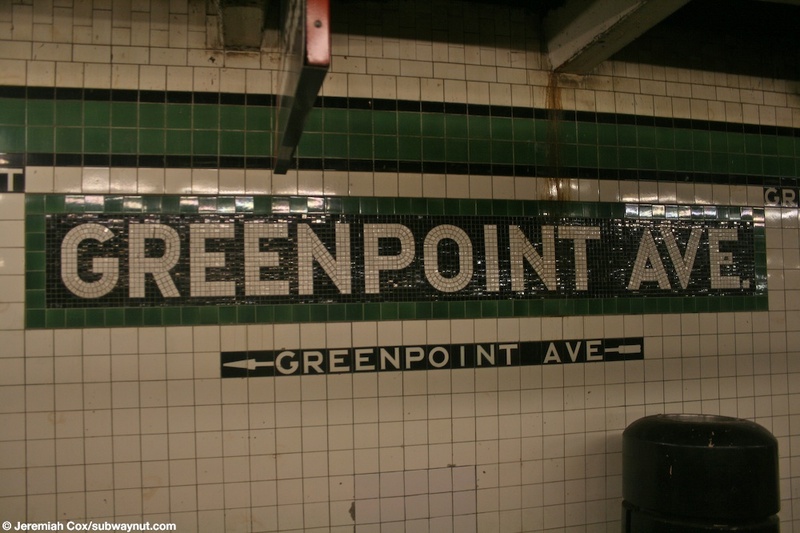 (greenpointg1) A name tablet at Greenpoint Ave with text for the exit there underneath it. 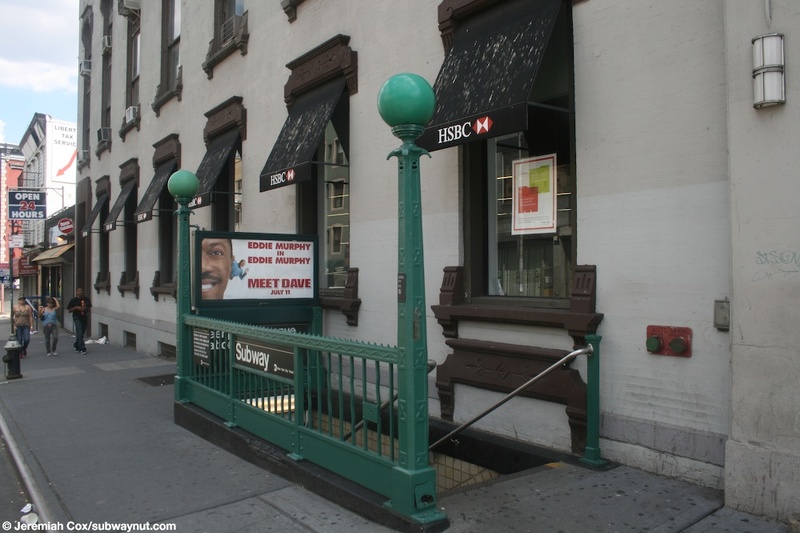 29 February, 2004 (greenpointg2) A view of the unstaffed exit/entrance to India Street at Greenpoint Av. 17 August, 2008 (greenpointg3) An entrance to the Queens platform at Greenpoint Av, from India St.
17 August, 2008 (greenpointg4) An entrance from Greenpoint Av to the portion of the station with a mezzanine. 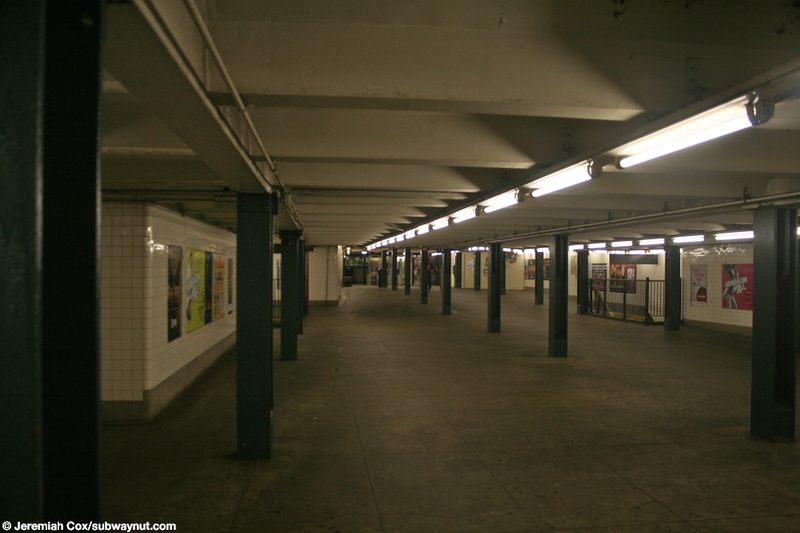 17 August, 2008 (greenpointg6) A view of the mezzanine at Greenpoint Ave that covers maybe a third of the platform. 17 August, 2008 (greenpointg7) A mosaic sign for Brooklyn at Greenpoint Ave.
17 August, 2008 (greenpointg8) Another view of the decent sized mezzanine at Greenpoint Avenue. 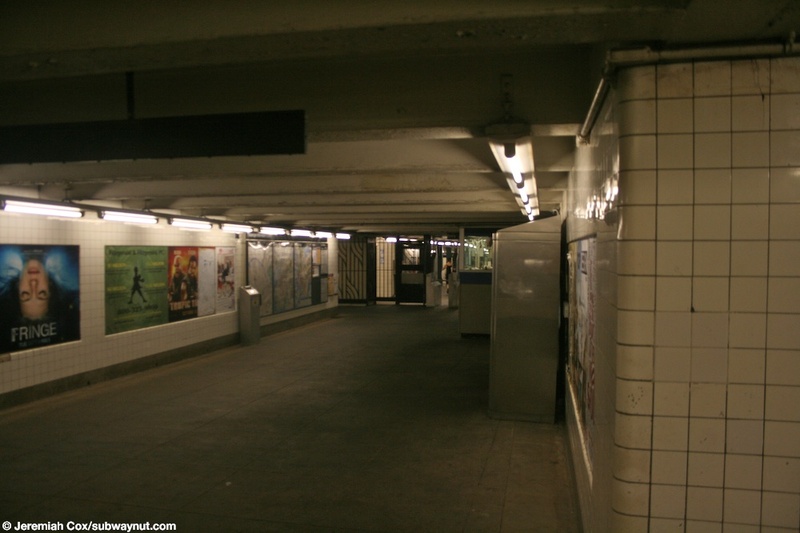 (greenpointg9) A staircase down to the G platform for Queens-L.I. 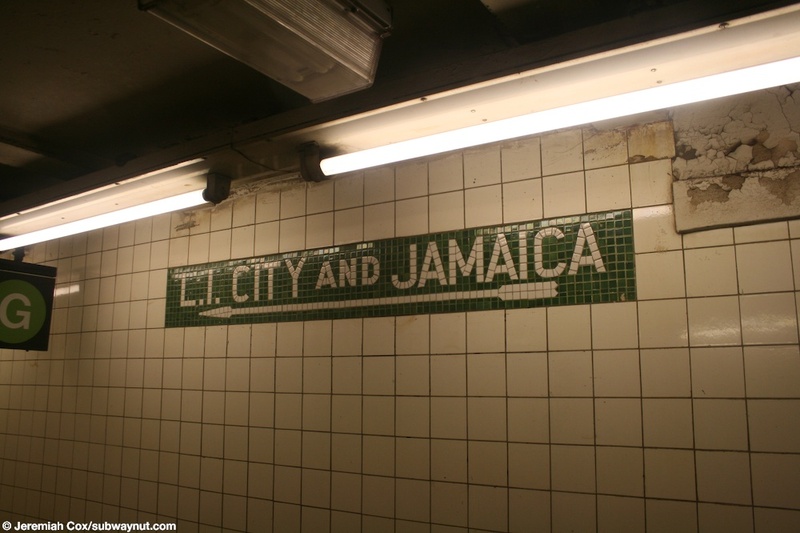 City and Jamaica. 17 August, 2008 (greenpointg10) Tiling for L.I. City and Jamaica. 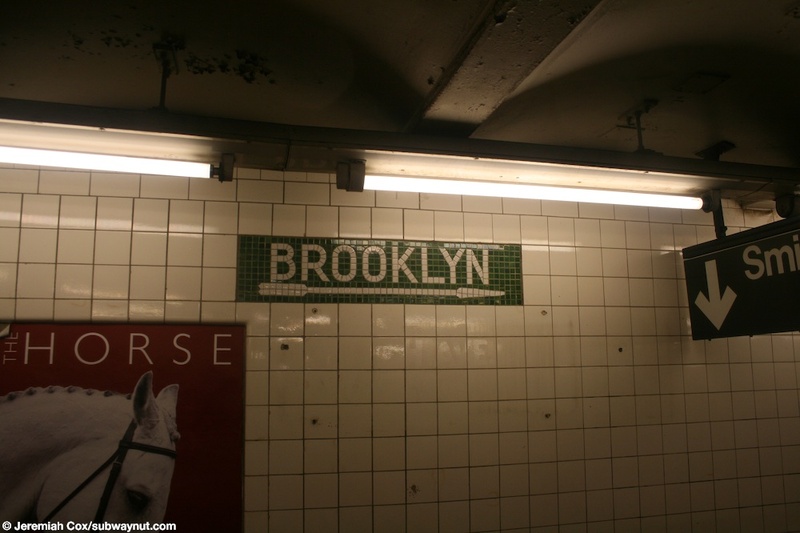 It's interesting that the station is in Brooklyn and all that platform gets is To Brooklyn. Queens gets L.I. 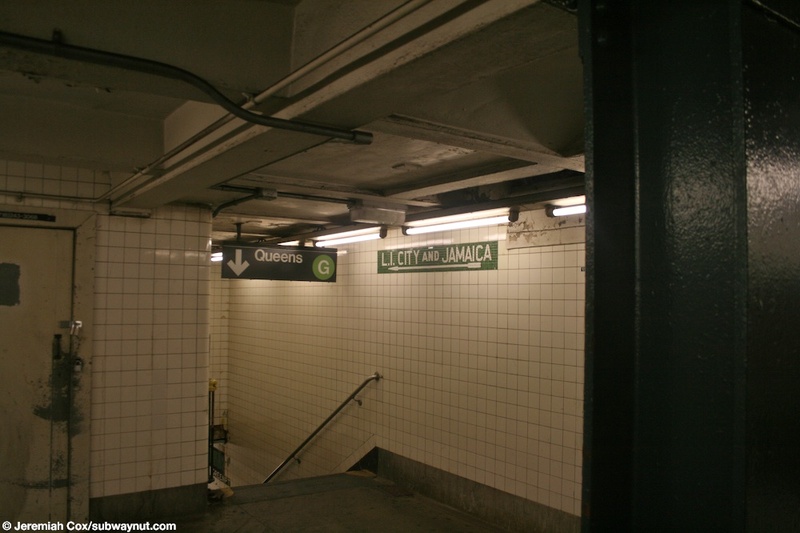 City and Jamaica instead of just Queens. 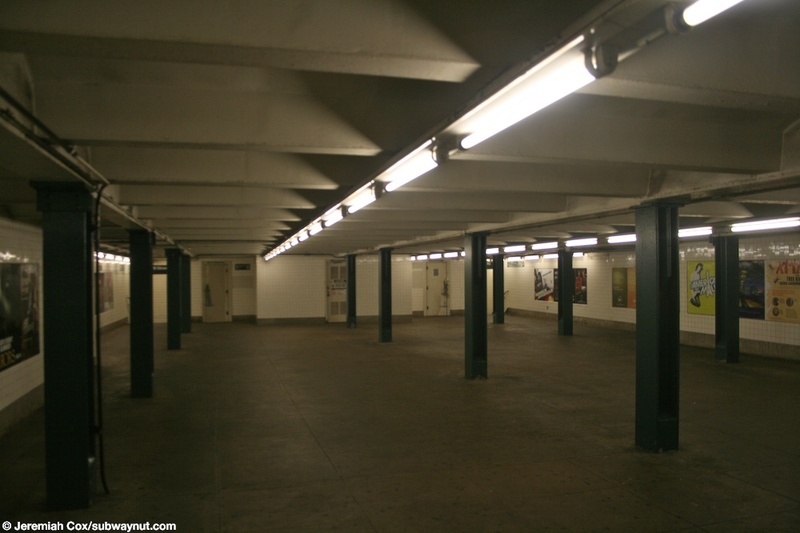 17 August, 2008 (greenpointg11) A view back down the mezzanine at Greenpoint Avenue towards the turnstiles. 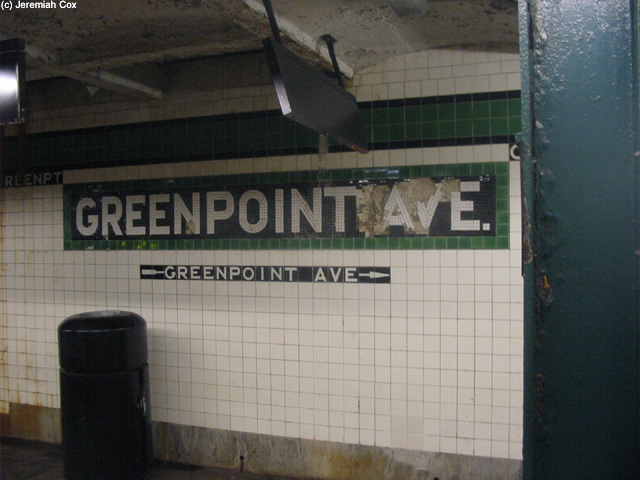 17 August, 2008 (greenpointg12) A name tablet at Greenpoint Avenue with the text 'To Greenpoint Av' underneath it. 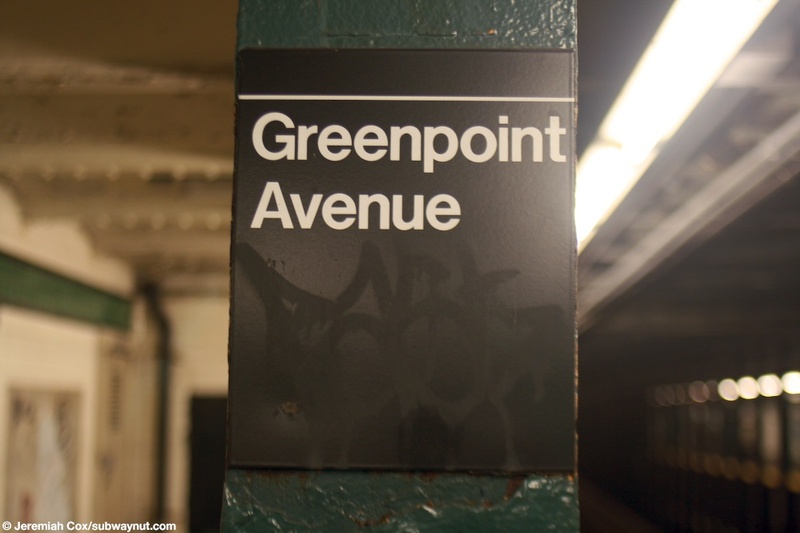 (greenpointg13) A column sign for Greenpoint Avenue. 17 August, 2008 (greenpointg14) A close up of Greenpt directly underneath the green trim. 17 August, 2008 (greenpointg15) Looking down the Brooklyn platform at Greenpoint Avenue. 17 August, 2008 (greenpointg16) A name tablet with the text India St underneath it.